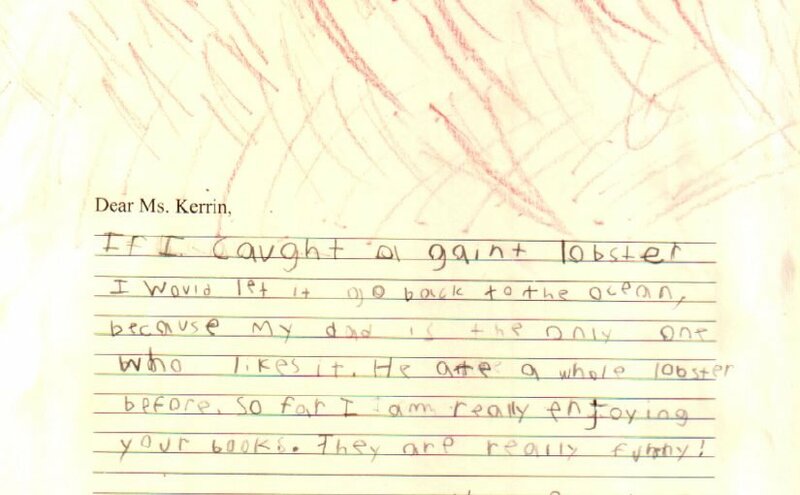 When I moved to Nova Scotia, it was the first time I watched people eat the whole lobster, like your dad, not just the tail and claws. 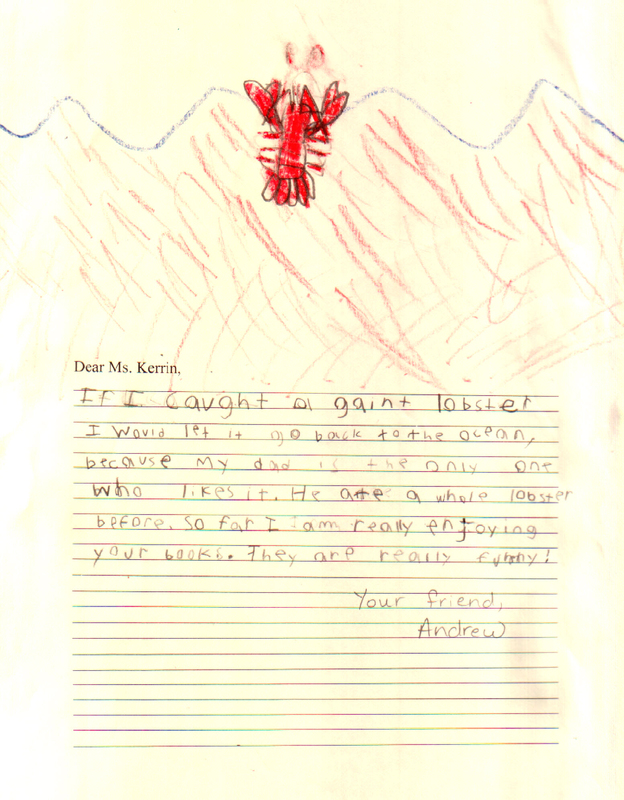 It is nice to know that you would return a giant lobster to the ocean and not eat it. It is also nice to know that you find my books to be funny.